The pool pavilion at this Riskin Associates listing offers ample indoor and outdoor dining amenities. With the sweet smell of summer in the air and abundant sunshine, getting outside is on everyone's mind. The Wall Street Journal recently published an article on the surge in upscale outdoor living space design. Citing the recent depression of the market, homeowners are looking to make their homes more useable. In 2010, the average cost of an outdoor kitchen was $30,000 two years later, homeowners spent an average of $40,000 on outdoor kitchens. An increase in outdoor appliances is also a contributing factor in the upswing of outdoor living spaces design. Last year, Kalamazoo Outdoor Gourmet, a company that manufactures high-end outdoor living space appliances, released an outdoor dishwasher which features a "winterization mode" for the off season. The dishwasher costs $3,995. Other outdoor spaces feature custom mosquito repellent systems which discreetly mist repellent into the air during high insect seasons. Although outdoor spaces are designed to be an extension of the indoor spaces, furnished outdoor spaces don't tend to yield as high an investment return as upgraded indoor spaces. Outdoor space, however livable, is not factored into the overall square footage of a property and usually return about 50% of the price-per-square-foot as indoor spaces. Becoming more and more elaborate, outdoor spaces have been designed to include complete kitchens and dining spaces, televisions, full theater systems and even bathrooms. 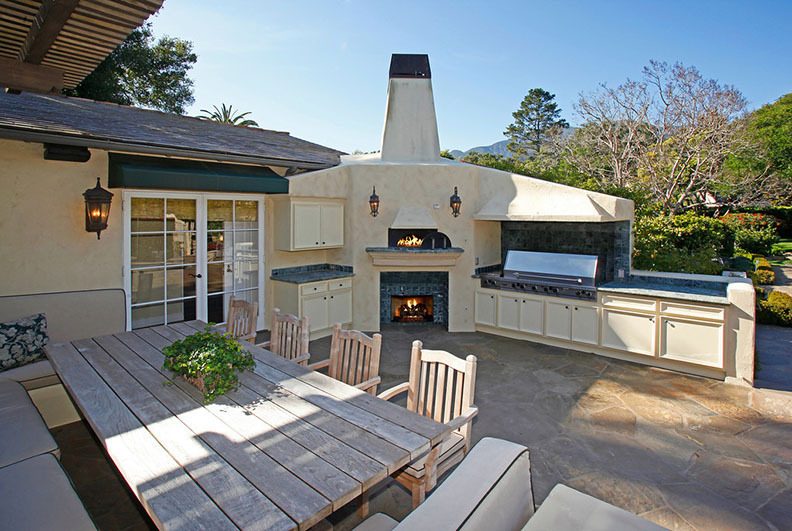 In Montecito, the incredibly temperate climate we enjoy is ideal for upgrading and enjoying your outdoor space to include not only pools and fireplaces, but also kitchens, dining and living spaces. Many Riskin Associates properties already offer stellar outdoor spaces that are ready to move you outside to take advantage of our year-round, summer-like weather. This romantic outdoor dining space is complemented by an outdoor kitchen. 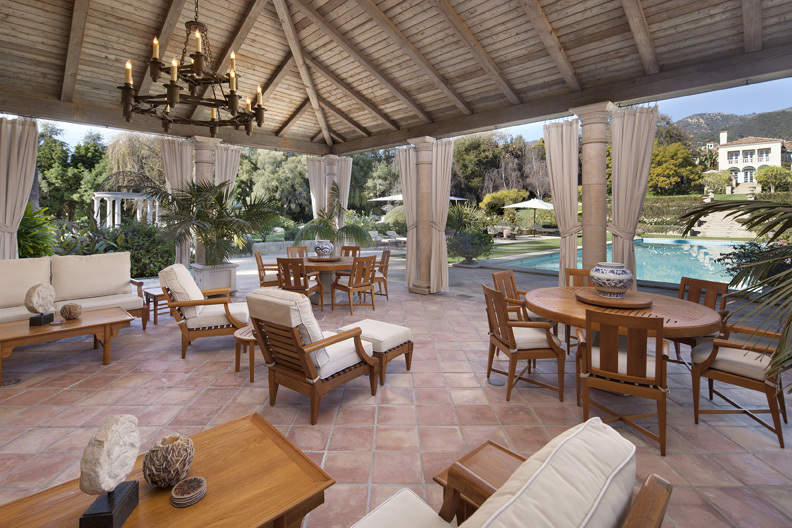 This Montecito property is perfectly designed for entertaining.